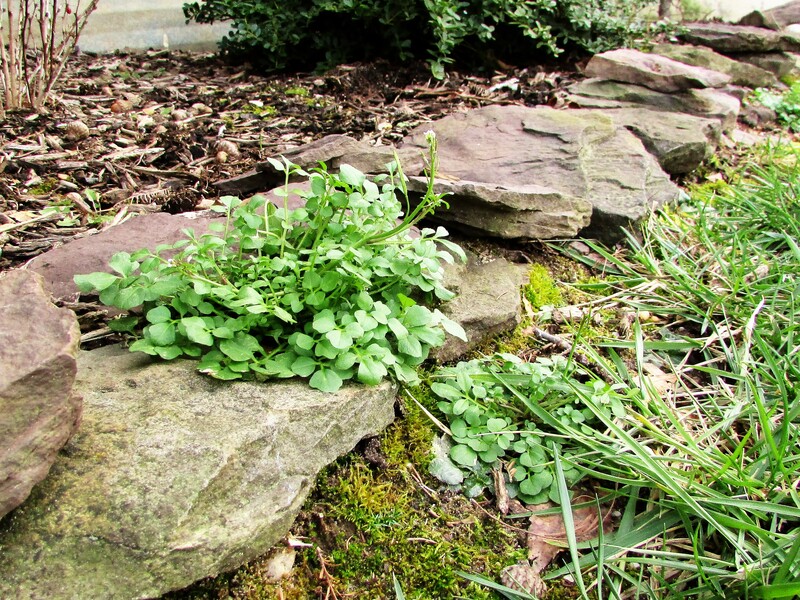 Wild Garden Cress is a very hardy plant…or as some would say…a weed. This beautiful specimen, regardless of the frigid temperatures, is growing between the rocks bordering my front gardens. Garden Cress is a plant with fortitude. No matter what the conditions I can usually find sprigs of it in my yard. Wild Garden Cress is an edible weed. A terrific article with good information can be found at The Potager Page. A synonym of fortitude is courage. I think this amazing little plant has plenty of courage. Is this the same as water cress – that they use in English sandwiches about 50 years ago- perhaps they use it even now ? No, I think that is found near boggy, wet areas…often near streams. This grows in soil that is drier…it is covering my garden beds in some places right now. I don’t eat it. I actually press it, but I know it is good plant to recognize in an emergency if food sources were cut off.